The "I'm done with slick trick" thread got me thinking. What fixed blades are out there that you all like? I have been bowhunting 2 years now and have yet to connect on an animal (only 1 shot from a tree and over shot). I have slick tricks and hear good reviews and bad, but thats with everything. 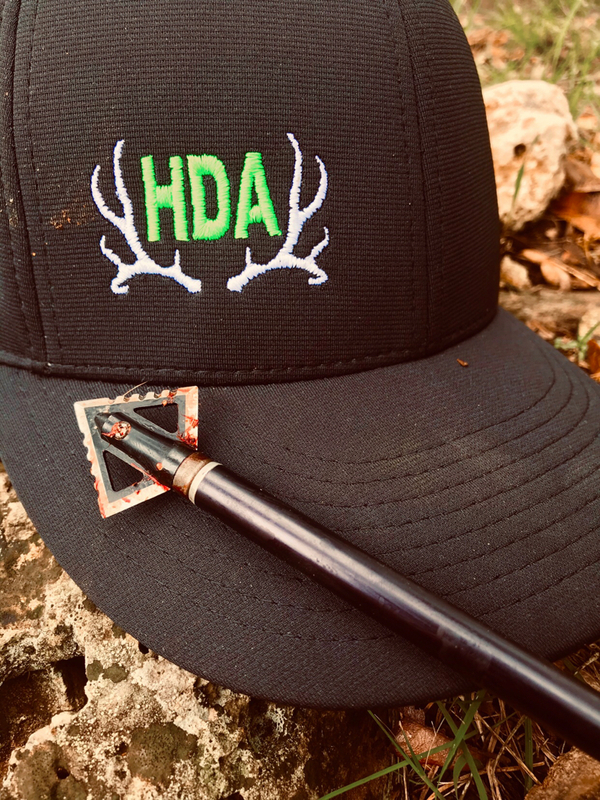 What are some other brands of good fixed blade broad heads? Muzzys are a good broadhoad... but any head that is sharp and you are confident shooting will do the job . I've shot Muzzy for a while now, and Thunderheads before that. Either of those have performed flawlessly when I do my part. Agree with this, shot placement is more important than brand of broad head. I agree. I have been practicing about 3 times a week about 100 shots each time. Got good groups out to 35 yards. But feel more comfortable under 25 yards. Any input on two blade, three blade or four blade ? I run the 175 grain Simmons Tiger Shark as well as the 225 grain Strickland Helix. They have both performed great for me with zero complaints. I have been lucky to take several large animals with them and have been impressed with the durability of both heads. I use Slick Trick Magnums, I also have 3 arrows in my bow case with NAP Killzones which are mechanical, but I can seem to pull the trigger with them, Slicks haven’t let me down. Ramcats and Magnus Black Hornets. Ramcats!!!! Perfectly tuned bow they will fly better than field points! Double sided cutting edge on all 3 blades. Most likely get a pass through but if not you can guarantee extra damage done for a quick kill. Only thing about them is making sure the blade screws are tightened! I still shoot nap thunderhead 100s. Been shooting them for 20 years and I ain’t switching. I love my PX2's can't go wrong don't need a big name to have a great head. These are almost indestructible. I would shoot Ramcat but they don't fit right in my quiver (I might be doing something wrong, I have a tightspot) and they aren't made in USA anymore. If those two things lined up that's what I would shoot. Grim Reaper for the win here. I've never connected on an animal and not seen it drop. Muzzy Phantom SC, or the Magnus Stinger and Magnus Black Hornet. Muzzys are great, the phantom sc is by far my favorite. The magnus heads are great as well, they fly like darts! I've tried several but went back to Slick Trick Magnums. For tougher animals I use the DRT single bevel. I have used many, I don't use mechanicals. I really like QAD Exodus. I have also used Muzzy a lot, both the older 3 blade and the newer MX-3. I really liked the Solid Legend's I had but those are very pricey. When I shot trad I used Magnus mostly in glue on. I do still have 3 Snuffer SS's. I have 3 Sick Trick Magnums also but I have never used them and I managed to lose one of the washers somehow haha. I’m a fan of anything Magnus makes. Would like to try to VPAs, NAP Hellrazors, and Simmons Sharks too. I like a true COC head, just to give me the best chance of a full pass through. I've shot muzzy', slick tricks and t-heads. With a well tuned bow they'll all shoot good but the t-heads always took the least amount ( if any) tuning and are super sharp out of the box. With that said I currently shoot Rage hypos's. Any of the top brand fixed blades are great heads to shoot. The Slick Tricks you have will get the job done. They are a well built head and when put in the right place will result in a lethal shot and quick recovery. Don't let one thread deter you from using them. They are a well respected fixed blade in the bowhunting community along with some of the others mentioned above. Don’t overlook WASP products. Very pleased with the new Dart 4 blade fixed head. Also have the Jak Knife & Jak Hammer mechanicals. Have 3 Dart & Knife heads loaded in my quiver. There are things to look at. Do you shoot behind the leg. Soft tissue. If so it don’t matter pick a head you like. I would look at edge retention. A cheep Head will dull before coming out the other side. This is not good. If your a leg shooter. Then you look at a stronger head. Make sure blades are thinker look at the shape, long narrow heads perform better in the thicker parts of the animals. Not always but most of time. If your a leg shooter and take quarter to you shots. Then leg bone is going to be a problem. This is where you look at single bevel heads. Build with foc and mass. There are things to always look at. Don’t for get draw weight and draw length. Lower draw weight and shorter draw lengths do better with high mechincal advantage over low meachnical advantage. Low draw and short draw do matter with MA heads in the 1.5 and greater. this is a good place to read on instructions for building a good hunting arrow. this is the head I'm using this year for deer and hogs. it's a 125gr. 1.5inch cut head. here is the head I'm using for my nilgai hunt. it's 315gr. this is a single bevel. I'm going with this head because i may have to take shots that are not so perfect. I do not have a problem with ST. I like the ST standard heads. However, last year I used an Iron Will on my elk hunt was extremely impressed by the performance. Slick trix and muzzy is all I have ever used. Killed hogs deer and elk. Shot placement is more important. Elizabeth Warrens ancestors killed Buffaloes with arrow heads. I decided to give Ramcat a try last year and I was very very impressed. I'm gonna stick with them for now. Muzzys have been good to me in the past though. what head is this? i feel like i've seen it before. I just shot a buck with the Montec G-5's and was not happy w/ the blood trail. I like the 2-blade simplicity and will be getting back to that. Interested to hear what you think of it after putting this thing through the paces. I had a doe do some weird stuff last week. Was perfectly broadside at 19 yards. When through front shoulder exited rear off side ham. Arrow went another 10 yards, She went 36 yards. Pretty impressed on the total penetration. At 560gr and 260ft/s so deer reflex’s under 25 cause werid things. I shoot nothing but Magnus Stinger Buzzcuts 100grain, since I had a mechanical head not open up on contact a few years back. The buzzcuts have amazing accuracy and a even better warranty. I hit a rib sending a arrow into the backbone on a nice buck a few years ago and the broad head received some damage (deer died within 12 foot of location being shot). I sent an email to the company with photos, the owner himself contacted me in less than 12 hours thanking me for using there products and asked for my address to send me a new broad head. When I received the package it had two boxes of broad heads, stickers and a hat along with a letter hand signed by the owner. I have shot a dozen or so deer with the same broadhead since and have had no problems what so ever. Due to the companies amazing customer service I will be a customer for life. Also they fly just like a field tip and I don’t have to move my sight between practice and hunting. I would never pay for another Ramcat. Out of a single pack you may or may not get consistency. Their quality control is horrible, along with their customer service. I have provided several examples of broadheads weights varying by nearly 20%. Iam with you, we have had several blades brake off in animals. And a few at the threads on the feral. Never had a problem and I have been shooting them for a long time! I have weighed my arrows also and have never seen anything like you state. Not saying you are not right, but I have not seen it! It is my go to head and I will use them until something tells me other wise! I have never re-sharpened blades on any replaceable blade heads I have used in over 40 years of bowhunting so whatever the blades end up like, it does not matter to me. I’ve had good performance with 3 blade 100grn Muzzy.